So far Tamara has created 7 blog entries. 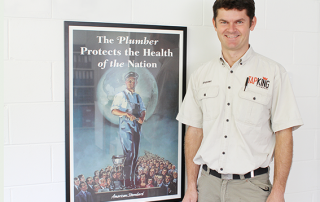 “Plumbers are the silent heroes of our society” says Mike Frost, the owner of TAP KING Plumbers. 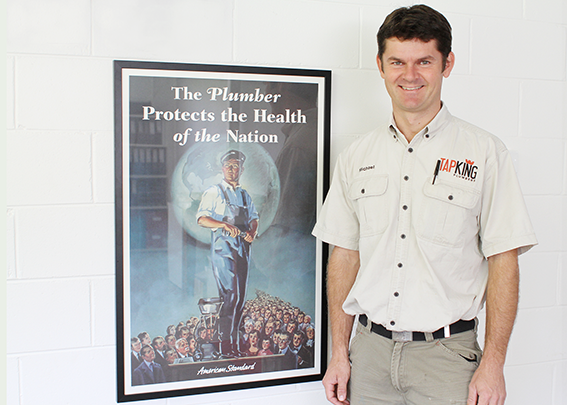 “Most people don’t realise plumbers ensure the health and safety of our families. What they do is very important”. World Plumbing Day is an international event held on 11 March and is recognised by the World Health Organisation. It has been created to acknowledge the role the plumbing industry plays in delivering clean water to houses and ensuring waste water does not contaminate our precious water resources. “It is estimated that 2 million tonnes of human waste is discharged into our water resources every day”, World Water Assessment Program. Without plumbers and the implementation of high plumbing standards like we have in Australia we would be faced with many diseases that are currently preventable, such as diarrhoeal diseases like cholera and typhoid. These diseases are killing 3.1 million people each year in countries that lack these basic privileges we take for granted. As a plumber that is passionate about upholding high plumbing standards and specialises in problem waste pipes, Mike often sees firsthand the impacts broken sewer pipes in back yards have on the condition of our water ways. “I regularly see broken pipes that leak effluent into the ground” Mike said. “People don’t realise that sewerage from ineffective septic tanks and broken sewer pipes quickly makes its way into ground water, eventually making its way to our drinking water”. At the moment Coal Seam Gas Fracking is a huge threat to our precious water sources. But Mike is also concerned that householders need to be aware they could also be contributing to the contamination of our water within their own back yard. Ensure cracked and broken sewer pipes are repaired promptly to prevent ground and stormwater entering the sewer. Underground pipes around a house usually have an opening with a grate on top (often found under hose taps). These should be above ground level to stop ponding water during heavy rainfall entering the sewerage system. Do not use items such as wet wipes or flushable wipes as they cause blockage in both private and council pipelines. If you have a slow draining toilet, sink or bath, have them checked by a qualified plumber to ensure your pipes aren’t damaged and leaking sewer into the ground. Have your downpipes checked to make sure they are not connected to your sewerage pipes. If they have been connected incorrectly all your clean roof water will be going into the council sewer main and overloading the system. If you have a septic system make sure it is not blocked and operates correctly so that sewer does not overflow into surrounding water ways. 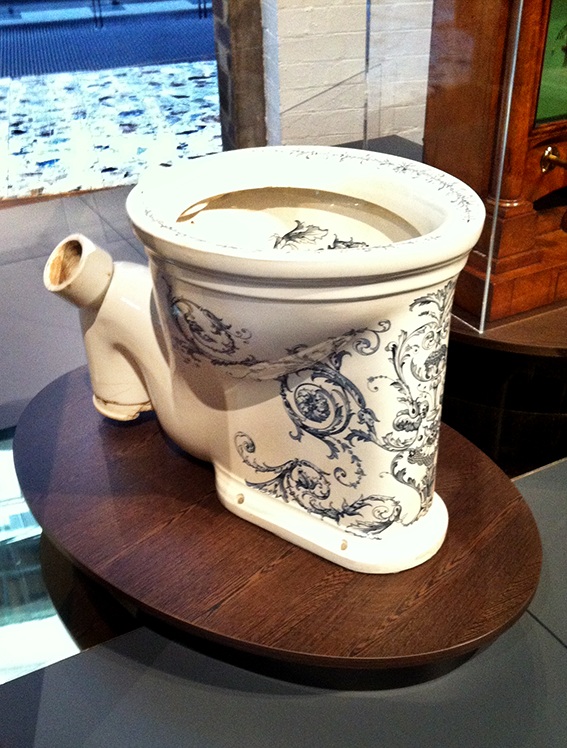 A recent trip to the Powerhouse Museum uncovered some interesting facts about the flushing toilet and how its introduction increased a person’s average live span of 20 to 30 years! Before sanitation improved public health in the late 1800s, working people didn’t expect to live much beyond the age of 30. 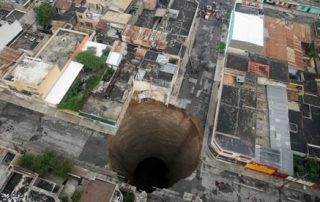 Crowded towns were considered death traps because human waste was dumped into pits where it could pollute water supplies. Diseases like cholera flourished, killing thousands at a time. Flushing toilets had a profound effect on the average person’s outlook because we could plan for an extra 20 or 30 years of life. 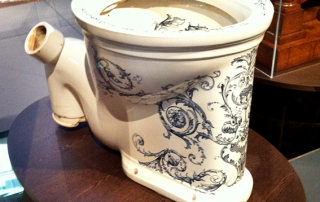 This toilet was made by Johnson Bros in England between 1880 and 1910. 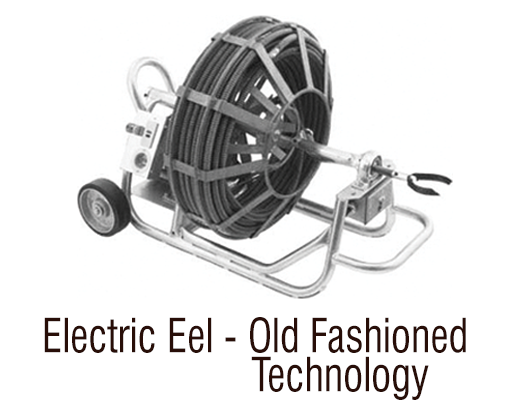 An Electric Eel is a machine that many plumbers use to try and unblock pipes. It has a long coil that spins and thrashes inside the pipe in an attempt to smash and cut out what is causing blockage. The machine was first invented in the 1920’s when sturdy clay pipes were the norm. However, most of our pipes today are made from PVC plastic that can not withstand the repeated friction and smashing of an Electric Eel. 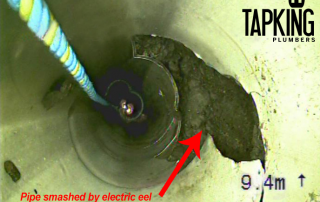 Unfortunately while Electric Eels cut and punch a hole through the blockage they can also punch a hole through the pipe, requiring you to then dig up and fix the pipe. Check to make sure your plumber is using a ‘Pipe Jetter’ (high pressure water) to clean your drains. It is a lot quicker, less harmful to your pipes and doesn’t leave any debris behind. We first received a call from a customer who was on a rural property on the Gold Coast. Their toilet kept filling up and then draining slowly, and sometimes the sink would gurgle too. 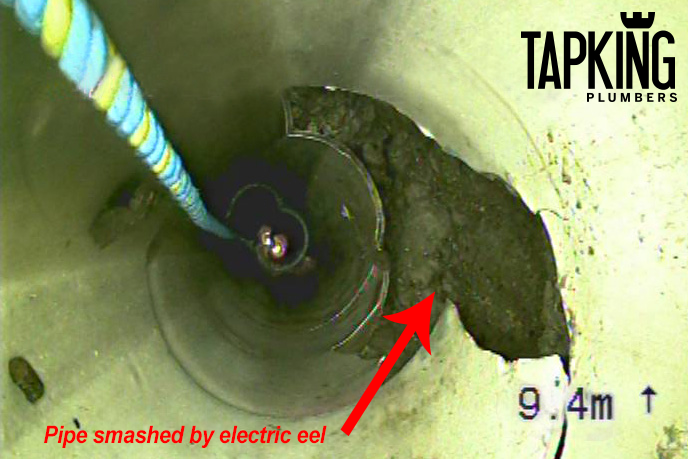 We explained over the phone that we do not use electric eels to fix blocked drains as they can cause further damage inside the pipe. However, the customer wasn’t too sure about paying a little bit extra for us to use the drain jetter and camera to identity and solve the problem quickly. They felt they could get a different plumber who was a bit cheaper, but he did use an electric eel to unblock drain pipes. 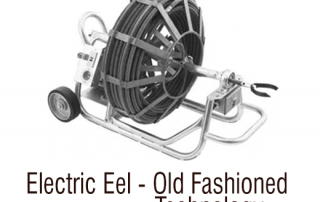 Four weeks later we received another call from the customer to say that they had used the other plumber with the electric eel. He had cleared the blockage at first but it was blocking up even worse now and the water in the toilet wasn’t going down at all. They asked if we could come and use our drain camera and jetter to see what was going on. 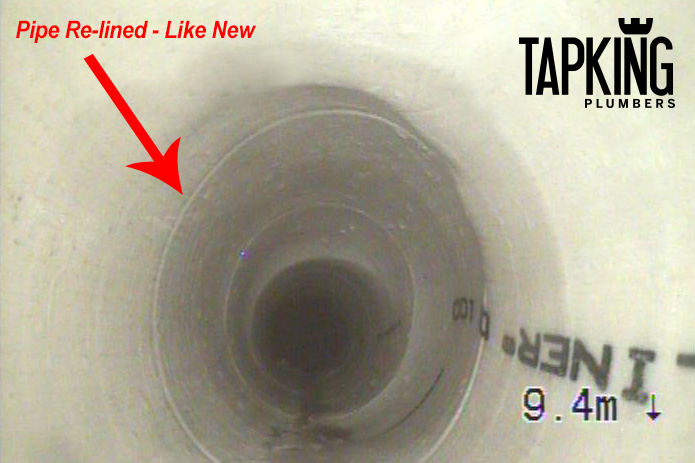 Unfortunately for the customer the camera showed that an internal section of the pipe had been smashed with the electric eel that the first plumber had used and now the complete section of the pipe had to be replaced. We were able to fix the pipe by using our ‘No Dig’ internal pipe liner which meant the customer was very happy as they did not have to dig up and destroy their beautiful garden to fix the pipe. When the weather starts to get dry, trees start getting thirsty. A tree’s extended underground root system knows how to find water and will go looking for it. 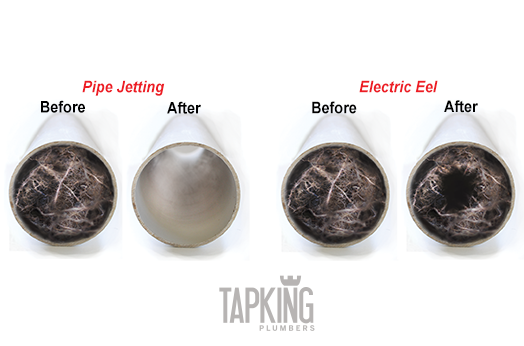 If you have a small crack in your pipe or even a pipe fitting that has not been glued properly it is a perfect entry point for tree roots to get into your pipes and cause a blockage in no time. 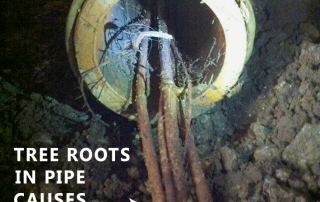 A tree root can first enter a sewer or storm water pipe as a tiny feeler root. Once it enters the pipe and has a regular supply of water and nutrients from the sewer or storm water pipe it lives happily growing larger and larger till all of a sudden you start having problems flushing your toilet. The water may back up in your toilet and drain slowly. 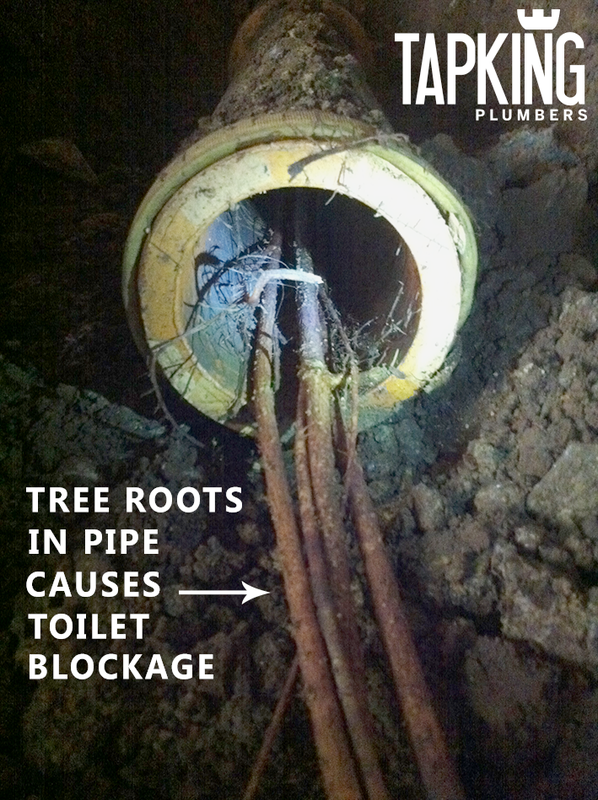 With all the dry weather we are having at the moment we are getting lots of blocked drains caused by tree roots.